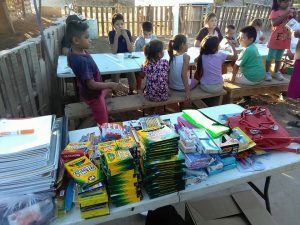 These Are Thankful Children and Youth Saying GRACIAS (Thank You) for Receiving School Supplies. 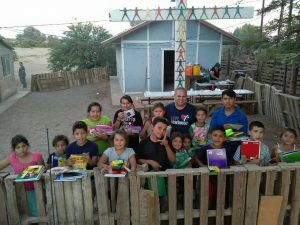 They live in a community call Independencia, Sonora and they are standing in front of the mission building, Rey de Gloria Lutheran church, where they worship and eat at our Breakfast Program. Thank you for your support and help to keep this children in school.